Cookbooks that are indispensable for the fledgling or experienced gourmet cook will provide a foundation in the basics, while serving as a springboard for letting your creativity soar. Choose one of these titles that will expand your current skill set. Mastering the Art of French Cooking Vol. 1 by Julia Child, Louisette Bertholle, and Simone Beck (Alfred A. Knopf, 2001) is an all-inclusive masterpiece originally published in 1961, and it's still the go-to book for gourmet cooking. It is touted as the only cookbook (or at least the first) to explain classic French cooking to Americans using American ingredients. There are no photos but more than 100 illustrations that detail everything from how to peel, seed and juice tomatoes to how to line a dessert mold with ladyfingers. 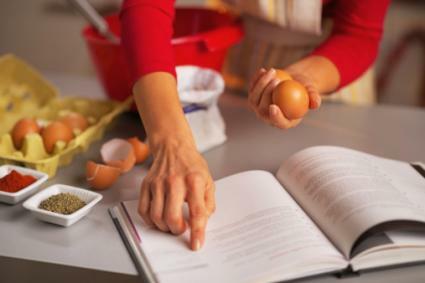 There are preliminary sections on kitchen equipment, culinary definitions, ingredients, measurements, temperatures, basic knife cuts and wines before 10 chapters on soups, sauces, egg cookery, entrées and luncheon dishes, fish, poultry, meat, vegetables, cold buffet, and finally desserts and cakes. Some of the recipes with their many steps can seem daunting but complicated is part and parcel of gourmet cooking. That being said, however, there are simple treatments and instructions for things like spring asparagus. Look for Chateaubriand (whole beef tenderloin), Les Merveilles de la Mer en Crêpes (The Marvels of the Sea in Crepes or Seafood Crepes), Bavarois au Chocolat (Chocolate Bavarian Cream), and many other classics. Mastering the Art of French Cooking Vol. 1 was the best-selling cookbook for five straight years after its publication. In 1987, it was named a Cookbook Hall of Fame Inductee by the James Beard Foundation and in 2004, it was listed as one of the 10 Best Cookbooks of All Time by Gayot. 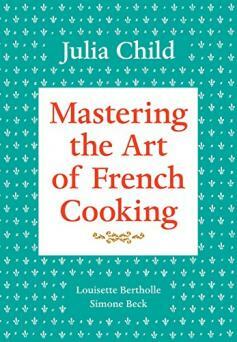 An excellent companion to the first volume is Mastering the Art of French Cooking Vol. 2 by Julia Child published in 1970. It contains a section on making French bread, not covered in Vol. 1. Together, they provide a complete framework for creating classic French gourmet food. Some gourmet cookbook aficionados compare Essentials of Classic Italian Cooking by Marcella Hazan (Alfred A. Knopf, 2012), originally published in 1992, to Julia Child's Mastering the Art of French Cooking because it also outlines the techniques, ingredients and recipes of a national cuisine - only this time it's Italian food. It is actually a combination of her two previous works, The Classic Italian Cook Book (1976) and More Classic Italian Cooking (1978), of which former (and now deceased) New York Times food and wine critic Roy Andries de Groot wrote, "Marcella's book is the most authentic guide to Italian food ever written in the U.S."
She provides fundamental information about herbs, spices and cheeses used in Italian kitchens and how to find them or what to substitute in the States. Don't expect recipes for spaghetti and meatballs but classics like Pork Roasted in Milk, Osso Buco (Veal Shanks), Veal Stew with White Wine and Sage, Polenta with Raisins, Dried Figs and Pine Nuts, Squid Braised with Tomatoes and White Wine, along with the essentials of preparing fresh pasta, gnocchi, risotto, and Swiss chard with olive oil and garlic. There are no photos but illustrations and line drawings provide detailed information. 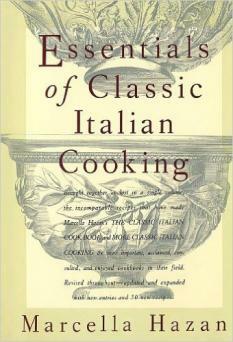 Essentials of Classic Italian Cooking was also named one of the "10 Best Cookbooks of All Time" in 2004 by Gayot. Publishers Weekly says that included among the "outstanding recipes" are some that are "poetically simple." If you're going to the trouble of crafting a gourmet meal, don't accompany it with anything short of good-quality artisan bread you make yourself. 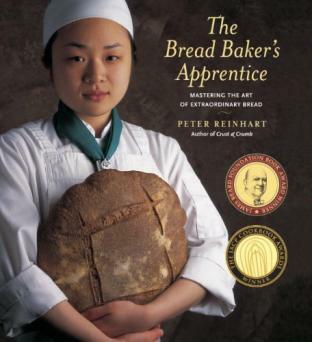 Peter Reinhart shows you how to do it in The Bread Baker's Apprentice: Mastering the Art of Extraordinary Bread (Ten Speed Press, 2001). This comprehensive full-color book with more than 100 step-by-step photos is a treasure trove for the neophyte and experienced baker alike. Reinhart shares the knowledge for making bread the old-fashioned way -- long, slow rises with pre-ferments and tangy sourdough starters -- learned in France at the hands of master bread bakers. Along with the 12 stages of bread building, he offers 50 recipes, known as formulas in the bread and pastry world, for classics like pain à l'ancienne, ciabatta, pain de campagne, brioche, as well as old-school New York bagels, anadama bread, ethnic celebration breads, and more. It won the 2002 James Beard Foundation/KitchenAid Cookbook of the Year, 2002 International Association of Culinary Professionals (IACP) Cookbook of the Year, and 2002 International Gourmand Award for Best Baking Book in the World. Fish & Shellfish: The Cook's Indispensable Companion by James Peterson (William Morrow Cookbooks, 1996) can be considered the bible on all things seafood. Author James Peterson (a James Beard award-winning author of Sauces) not only demonstrates every conceivable method of cooking fish and shellfish -- baking, braising, deep-frying, grilling, broiling, poaching, pan frying, marinating, curing, smoking, steaming, and microwaving -- but highlights them in every course from soups, stews and pastas to mousses, soufflés and salads. More than 60 species of saltwater and freshwater fish are described in a Finfish Dictionary and a 32-page section of color photos provides step-by-step instructions for cleaning and preparing seafood in all its guises. Among the more than 150 recipes, you can expect Stuffed Striped Bass with Spinach, Shrimp and Mushrooms, Halibut Fillets with Curry, Herbs, and Almond Crust, Salmon Fillets à la Nage with Julienned Vegetables, Braised Tuna with Vegetables, and Thai-Style Swordfish Satay. If you're a shellfish lover, the author provides information on selection, storage, preparation and serving with recipes like Steamed Mussels with Thai Green Curry, Littleneck Clams in Black Bean-Scented Broth, Linguine with Clam Sauce. Hot Oysters with Leeks and White Wine Sauce, Braised Scallops with Tomatoes and Fresh Basil, Steamed Lobster with Coconut Milk and Thai Spices, Shrimp with Tomato Sauce and Saffron Aioli-Pesto, Japanese-Style Grilled Squid and more. More than 75 percent of reviewers give Peterson's book a five-star rating on Amazon.com and in reviews listed on Amazon, Elle and USA Today magazines and the Los Angeles Times and Chicago Tribune gave high praise. 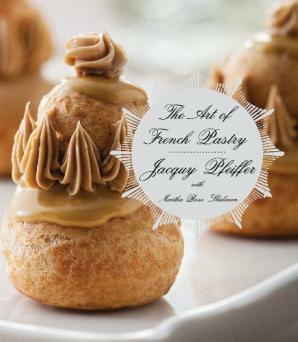 The Art of French Pastry by Jacquy Pfeiffer and Martha Rose Shulman (Knopf, 2013) is a beautiful full-color cookbook. While Julia Child, in Mastering the Art of French Cooking touches on French pastries, Pfeiffer and Shulman's book is a comprehensive tome on how to create almost every conceivable French dessert. Co-author Pfeiffer is not only an accomplished French pastry chef but also a teacher and cofounder with Sébastien Canonne of the French Pastry School in Chicago. His years of teaching experience have given him a knack for presenting the basics of pastry and then empowering the reader to use them to create professional-looking and, best of all, delicious confections. Building blocks include pâte à choux, laminated doughs like puff pastry and Danish dough, pastry cream, meringues and buttercreams that are transformed into napoléons, mille feuilles, cream puffs, éclairs, buttery tarts, macarons, palmiers, croissants, brioche, beignets, croquembouche, gateaux and more. Pastry is a science, with exact measurements required and the use of the metric system, so Pfeiffer provides equipment lists, how ingredients react in different environments, and precise weight of ingredients in grams, with a look at their equivalent in U.S. units. Chapters are devoted to the fundamentals, French pastry classics, tarts, cookies, cakes and ice cream and, along with hundreds of authentic French recipes and the history behind them, German-influenced Alsatian (Pfeiffer was born in Alsace) recipes for pretzels, kugelhopf, and warm Alsatian Meat Pie also are included. The cookbook is a winner of the 2014 James Beard Award for Best Cookbook in the Baking and Dessert category. The New York Times says the book is an "extended tutorial" and the Los Angeles Times calls it "thorough" and notes the details in the recipes included. What represents gourmet ingredients, cooking, and recipes to one person is not necessarily the same to another person. Background and exposure to foods of the world all have an impact on how one interprets what is gourmet. What is clear, however, is that the books listed above will set a person on a discovery course of the finer things to eat and drink in life.